Dale added a high tunnel to his innovative educational farm that provides fresh produce, beef and eggs to campers and staff. The farm currently provides 70 percent of all food consumed at the camp, which feeds more than 325 campers and staff three meals a day from mid-May to mid-August. The high tunnel allows him to extend the harvest of high-value crops such as tomatoes, peppers and cucumbers so that he can offer then throughout the entire 10-week camping session. The high tunnel also offers protection against severe weather while Dale conducts educational programming at the camp. 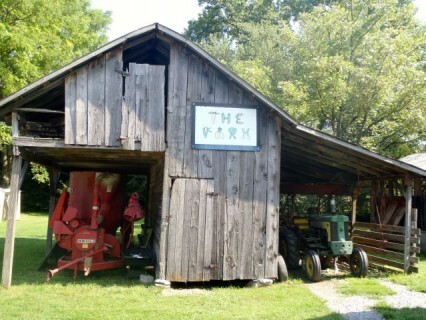 The kids learn about agriculture and food systems through hands-on experience at the farm. The Farm at Gwynn Valley was recently recognized by the American Camp Association as a model for incorporating farm programming and fresh food into a camp program. “Gwyn Valley is perhaps the first summer camp in the nation to have developed a fully functioning farm that is completely integrated into the educational programming and food system,” Dale said. In addition, Dale is planning on extending the growing season through December so that he can sell at local farmer’s markets starting in the fall.